Established in 1946 Gibraltar-based BetVictor is one of Europe’s leading online gaming companies with customers from over 150 different countries. The firm prides itself as an innovator and risk-taker and currently employs over 400 people, with offices also in London and Budapest. Since those early days BetVictor has demonstrated a pioneering spirit, commitment to technological advancement and has been home to the real sports bettor. As the business continues to grow, it is committed to maintaining a great working environment and has well-defined company values. In May 2014 Michael Tabor, previously a major shareholder in the business, acquired sole-ownership of BetVictor. In July 2015, the leading independent odds comparison website Oddschecker confirmed BetVictor as the bookmaker offering the best odds, most often, on the major European football leagues, including the English Premier League, for the fifth successive year. The bottom line is you win more with BetVictor. In the same month it was announced BetVictor had reached an agreement with English Premier League Champions Chelsea FC to be their new global betting and gaming partner. 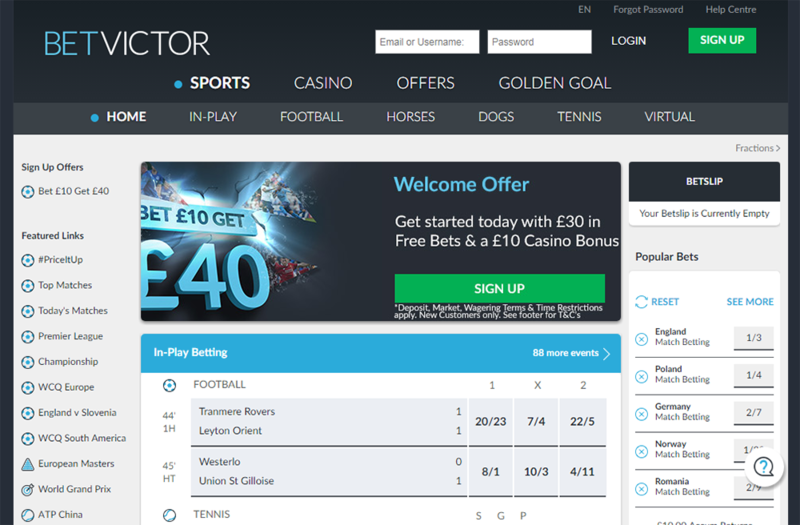 During the summer of 2015 BetVictor launched its own in-house developed Cash Out and In-Play facilities, available across all channels, before launching a new in-house developed native Android App that complements existing channels including our hugely successful in-house iOS app resulting in two high-quality native applications and an outstanding web product. In February 2016, the firm, which has a rich heritage in the sport, revealed a three-year partnership with British Racing to become an Authorised Betting Partner (ABP) and announced a three-year sponsorship of the iconic Open Meeting at Cheltenham racecourse including the BetVictor Gold Cup which will be run for the first time in November. Also in February 2016 BetVictor announced a brand refresh – the first in a number of exciting planned new product developments aimed at offering customers an improved, relevant, intuitive betting experience; Simple As – removing the clutter from both the product and the value message helps us differentiate ourselves from our competitors. To celebrate the 2016 European Championships, BetVictor launched its Million Pound Goal campaign, giving customers the chance to earn predictions via sportsbook and casino to win £1,000,000 on the final of Euro 2016. BetVictor Casino boasts over 700 of the best games sourced from most of the premier suppliers around the globe. Our innovative new search and filter feature makes it easy to navigate your way around the site and find your favourite game; we are constantly updating our casino products to bring customers the best and most exciting experience available. Underpinning everything in the business is the need for a seamless and enjoyable customer experience and journey; this is at the core of our business.